It’s estimated that by the year 2020, more than 30 billion devices worldwide will be wirelessly connected to the IoT. While the IoT has massive implications for government and industry, individual electronics DIYers have long recognized how projects that enable wireless communication between everyday devices can solve or avert big problems for homeowners. 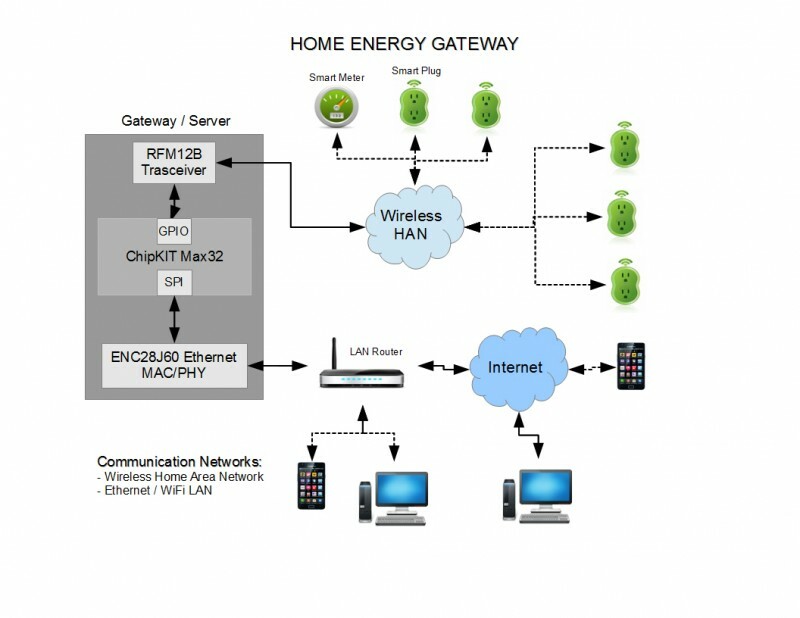 Our February issue focusing on Wireless Communications features two such projects, including Raul Alvarez Torrico’s Home Energy Gateway, which enables users to remotely monitor energy consumption and control household devices (e.g., lights and appliances). 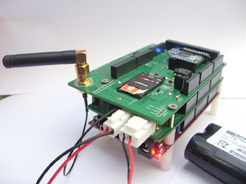 A Digilent chipKIT Max32-based embedded gateway/web server communicates with a single smart power meter and several smart plugs in a home area wireless network. ”The user sees a web interface containing the controls to turn on/off the smart plugs and sees the monitored power consumption data that comes from the smart meter in real time,” Torrico says. While energy use is one common priority for homeowners, another is protecting property from hidden dangers such as undetected water leaks. 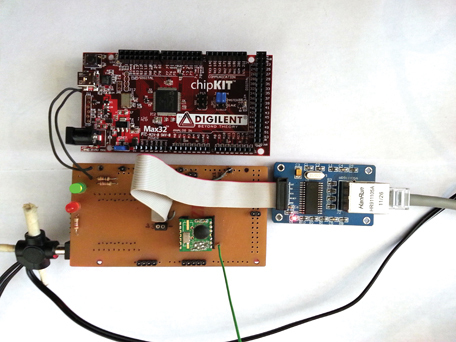 Devlin Gualtieri wanted a water alarm system that could integrate several wireless units signaling a single receiver. But he didn’t want to buy one designed to work with expensive home alarm systems charging monthly fees. 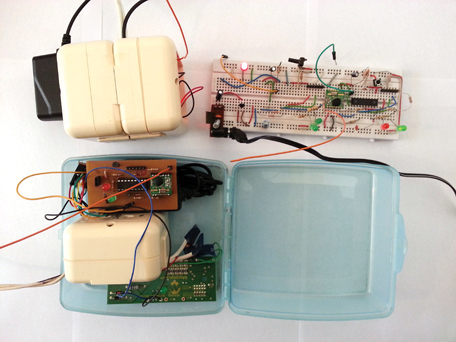 In this issue, Gualtieri writes about his wireless water alarm network, which has simple hardware including a Microchip Technology PIC12F675 microcontroller and water conductance sensors (i.e., interdigital electrodes) made out of copper wire wrapped around perforated board. It’s an inexpensive and efficient approach that can be expanded. “Multiple interdigital sensors can be wired in parallel at a single alarm,” Gualtieri says. A single alarm unit can monitor multiple water sources (e.g., a hot water tank, a clothes washer, and a home heating system boiler). Also in this issue, columnist George Novacek begins a series on wireless data links. His first article addresses the basic principles of radio communications that can be used in control systems. 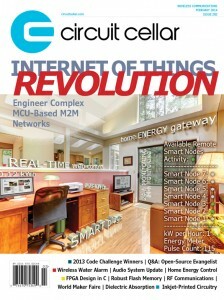 Other issue highlights include advice on extending flash memory life; using C language in FPGA design; detecting capacitor dielectric absorption; a Georgia Tech researcher’s essay on the future of inkjet-printed circuitry; and an overview of the hackerspaces and enterprising designs represented at the World Maker Faire in New York. 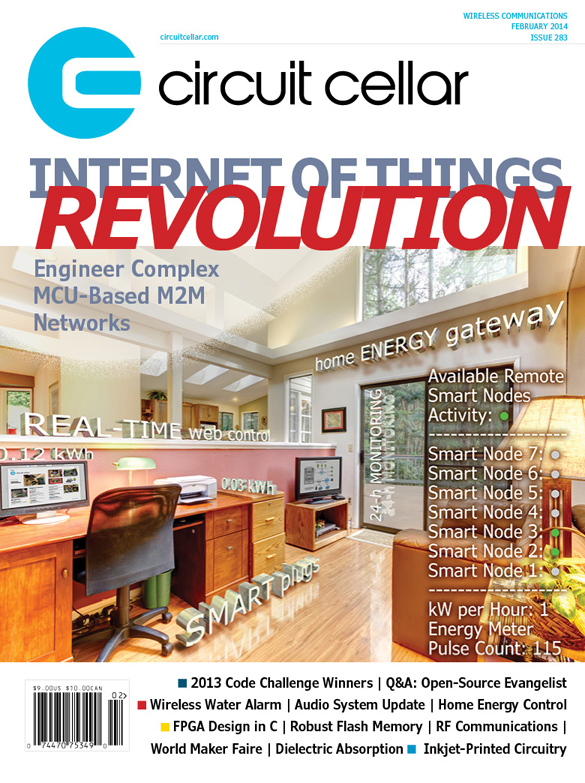 Editor’s Note: Circuit Cellar‘s February issue will be available online in mid-to-late January for download by members or single-issue purchase by web shop visitors. Figure 1: These are the H-bridge motor drivers and sensor input conditioning circuits. Most of the discrete components are required for transient voltage protection from nearby lightning strikes and inductive kickback from the motors. Graig Pearen, semi-retired and living in Prince George, BC, Canada, spent his career in the telecommunications industry where he provided equipment maintenance and engineering services. 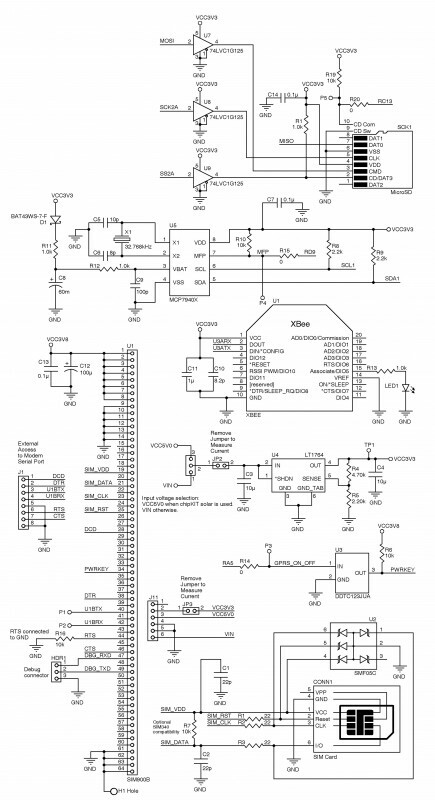 Pearen, who now works part time as a solar energy technician, designed the SunSeeker Solar Array tracker, which won third place in the 2012 DesignSpark chipKit challenge. He writes about his design, as well as changes he has made in prototypes since his first entry, in Circuit Cellar’s October issue. It is the first part of a two-part series on the SunSeeker, which presents the system’s software and commissioning tests in the final installment. When I was designing my solar photovoltaic (PV) system, I wanted my array to track the sun in both axes. After looking at the available commercial equipment specifications and designs published online, I decided to design my own array tracker, the SunSeeker (see Photo 1 and Figure 1). The SunSeeker board, at top, contains all the circuits required to control the solar array’s motion. 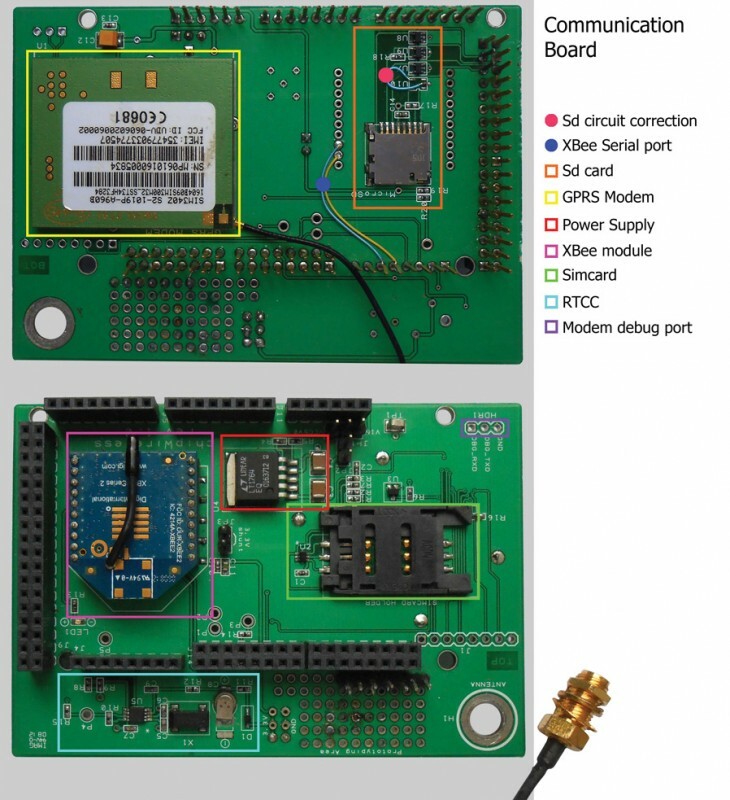 This board plugs into the Microchip Technology chipKIT MAX32 processor board. 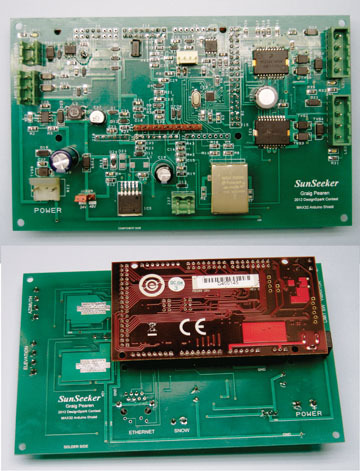 The bottom side of the SunSeeker board (green) with the MAX32 board (red) plugged into it is shown at bottom. capabilities. I particularly wanted to add Ethernet access so I could use my home network to communicate with all my systems. I was considering Microchip’s chipKIT Max32 board for the next prototype when Circuit Cellar’s DesignSpark chipKIT contest was announced. I knew the contest would be challenging. In addition to learning about a new processor and prototyping hardware, the contest rules required me to learn a new IDE (MPIDE), programming language (C++), schematic capture, and PCB design software (DesignSpark PCB). 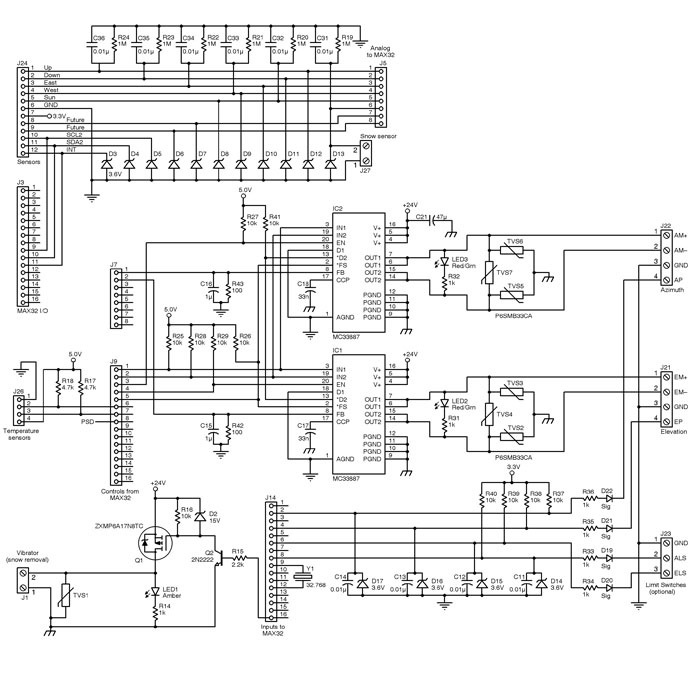 I also decided to make this my first surface-mount component design. My objective for the contest was to replicate the functionality of the previous Assembly language software. I wanted the new design to be a test platform to develop new features and tracking algorithms. Over the next two to three years of development and field testing, I plan for it to evolve into a full-featured “bells-and-whistles” solar array tracker. I added a few enhancements as the software evolved, but I will develop most of the additional features later. The system tracks, monitors, and adjusts solar photovoltaic (PV) arrays based on weather and atmospheric conditions. It compiles statistics on these conditions and communicates with a local server that enables software algorithm refinement. The SunSeeker logs a broad variety of data. The SunSeeker measures, displays, and records the duration of the daily sunny, hazy, and cloudy periods; the array temperature; the ambient temperature; daily minimum and maximum temperatures; incident light intensity; and the drive motor current. The data log is indexed by the day number (1–366). Index–0 is the annual data and 1–366 store the data for each day of the year. Each record is 18 bytes long for a total of 6,588 bytes per year. At midnight each day, the daily statistics are recorded and added to the cumulative totals. The data logs can be downloaded in comma-separated values (CSV) format for permanent record keeping and for use in spreadsheet or database programs. The SunSeeker has two main parts, a control module and a separate light sensor module, plus the temperature and snow sensors. The control module is mounted behind the array where it is protected from the heat of direct sunlight exposure. The sensor module is potted in clear UV-proof epoxy and mounted a few centimeters away on the edge of, and in the same plane as, the array. To select an appropriate potting compound, I contacted Epoxies, Etc. and asked for a recommendation. Following the company’s advice, I obtained a small quantity of urethane resin (20-2621RCL) and urethane catalyst (20-2621CCL). When controlling mechanical devices, monitoring for proper operation, and detecting malfunctions it is necessary to prevent hardware damage. For example, if the solar array were to become frozen in place during an ice storm, it would need to be sensed and acted upon. Diagnostic software watches the motors to detect any hardware fault that may occur. Fault detection is accomplished in several ways. The H-bridges have internal fault detection for over temperature, under voltage, and shorted circuit. The current drawn by the motors is monitored for abnormally high or low current and the motor drive assemblies’ pulses are counted to show movement and position. To read more about the DIY SunSeeker solar array tracker, and Pearen’s plans for further refinements, check out the October issue.